In the Fall of 2007, I founded the Riverfront Art Gallery in Petaluma. I wanted a gallery that was designed just the way I want a gallery designed, where I and other local artists can show off our work in a great setting, so I created such a gallery. 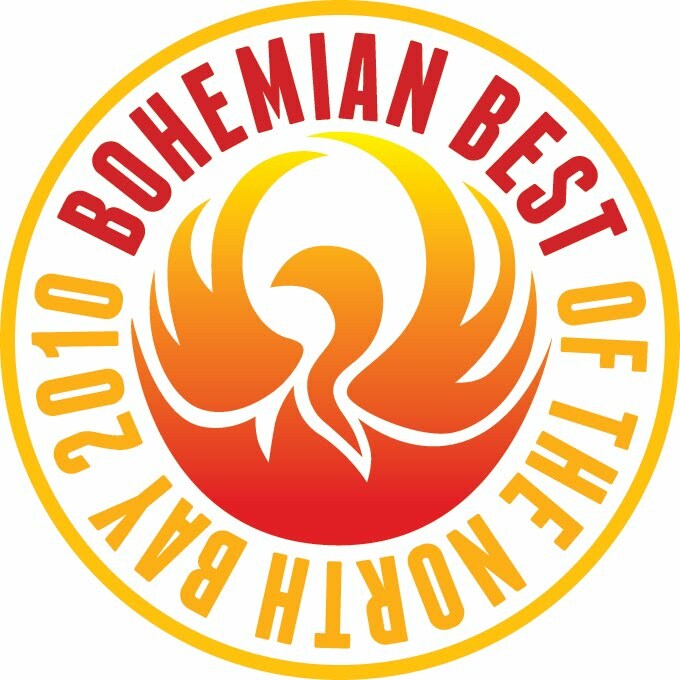 Last week, the Riverfront Art Gallery, was voted "Best Art Gallery in Sonoma County" for 2010 by the readers of The Bohemian, the only county-wide newspaper in Sonoma County. 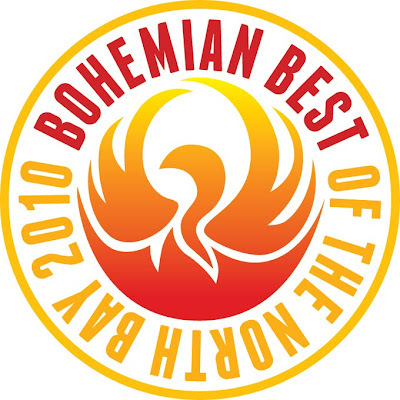 Since I co-founded the gallery 2-1/2 years ago, we have been voted best or second-best art gallery in the county three times in a row (our entire existence). This year we hold the top spot all by ourselves. There are 54 gallery members in the Sonoma County Gallery Group, and there are many more galleries in Sonoma County that aren't members of that group. In fact there are quite possibly over 100 galleries in Sonoma County, so being voted #1 is quite a feat, and I thought I would brag about that in this post. The subject matter of my main body of work is all about the environment and protecting it, so I support a lot of causes and political leaders that share that goal. The Mayor of Petaluma is running for Supervisor here in southern Sonoma County and I offered the use of my images in her campaign since I support her views about development and preserving the environment. Yesterday we got a flyer on our door from her campaign, and inside the flyer was one of my photographs. It's nice to see I can be of help. Among the organizations I support that preserve the land for sustainable agriculture or as natural habitat for our fellow creatures is the Sonoma Land Trust. I do photo hikes for their members on some of their protected properties and supply occasional photographs for their publications free of charge. 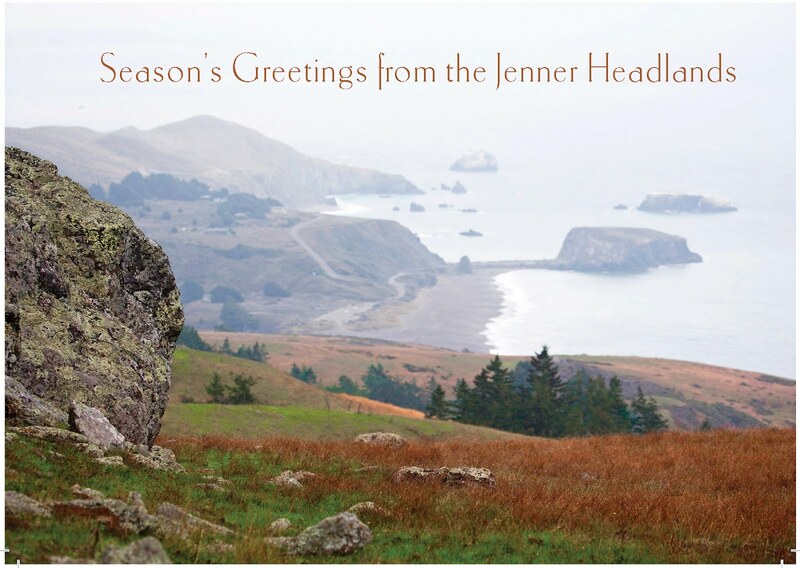 One of my images was used for their holiday card this past December. I am leading a photo hike on their newest and largest acquisition (Jenner Headlands) this March 6th. They got three times as many requests as they could accommodate for this outing, so they had to do a lottery. I guess I should improve getting the word out on my paid workshops! Attached to this post is the image for the holiday card for 2009. I am doing my next landscape workshop this week. I'm creating strong work myself in these workshops, better than my usual average. Teaching and the fear of disappointing students really concentrates the mind, but we all always seem to have a ball, and everyone says they learn a lot. I am back, and I will be posting more frequently from now on. I finished editing the pictures I took in Patagonia last April and posted them on my website. You can find my favorite images in the "Recent Work" section at http://www.lancekuehne.com/portfolios/recent/directory.html. I will do an exhibition of some of these pictures later this year. My 2010 calendar is available at $8.00 each from my website and at the Riverfront Art Gallery, the 2009 Calendar is also available as well for $5.00. My 2011 calendar will be exclusively about Napa and Sonoma wine country, I will tell you more about that later this spring. My workshop schedule has been updated recently and my next class on printing happens this Monday evening. I also have an outdoor landscape workshop occurring on February 18th. Let me know as soon as possible if you interested in either of these classes. I have a backlog of over 2000 pictures to edit, so expect another website update of new work in the not-to-distant future.